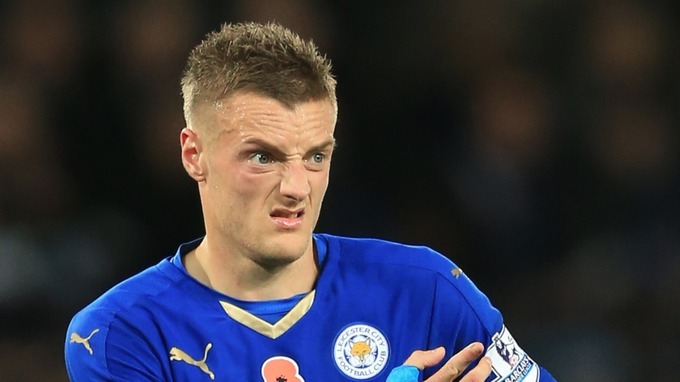 Arsene Wenger respects the decision taken by Jamie Vardy to remain at Leicester City. Arsenal have been interested in the Leicester City forward, who was a major factor in the league title race 2015-16. Even though he is at 29 years of age, Arsenal identifiedVardy as someone who can improve the team immensely going forward. The club do have a great compliment of strikers in the form of Olivier Giroud and Danny Welbeck, but the recent injury struggles for the latter has left the club in a difficult position. Welbeck has suffered another major knee injury just a few weeks after returning from almost a season on the sidelines. Arsene Wenger has confirmed that he is likely to sign striker in the summer transfer window in order to compensate for the injury suffered by Danny Welbeck. The England international suffered yet another major knee injury – just a few months after coming back to the first team – in the 2-2 draw with Manchester City. He has been ruled out for the next nine months, thus forcing him to miss the upcoming Euro 2016. Welbeck was an excellent form in the few matches that he played this season. The injury leaves Arsenal short of forwards and almost no real alternatives for Olivier Giroud. English men’s national team manager Roy Hodgson is set to put Harry Kane as the pointman in his team, with Adam Lallana too being rewarded with a starting role at the continental championship. This is in light of the injury to Arsenal’s Danny Welbeck. Player of the Year, Jamie Vardy will have to settle for a place of the bench while he comes on as an impact substitute. Danny Welbeck once again proved his importance to the Arsenal team by scoring the winner against Norwich City. The 1-0 victory moves the club closer towards the top three, which would give automatic Champions League qualification for the club. Arsenal looked like being in danger of dropping out of the top four altogether a few weeks ago. However, they have been able to get some important victories since the return of Welbeck. The forward has already scored winners against the likes of Watford. Now, his goal against Norwich has taken his league tally to a respectable four goals in six starts. Danny Welbeck’s extended absence from the first team has helped him improve as a person according to manager Arsene Wenger, who has also praised the attitude of the England international. Following a long-term knee injury, Welbeck spent almost 10 months on the sidelines. He returned back to the first-team in February and has already started making a huge impact by scoring some important goals. A return of three goals from just five starts may just lead Arsenal into believing that they have unlocked the goalscoring potential of the former Manchester United forward. Arsene Wenger says that it would be impossible not to miss a player of Danny Welbeck’s stature. The former Manchester United forward recently returned to the first team action after almost 8 months on the sidelines. Welbeck almost became the forgotten man at the Emirates stadium due to this injury. However, he has already made a huge mark in the club’s campaign after scoring in the games against Watford, Everton, and Leicester. His goals have helped Arsenal get seven points in the league over the last month alone. The forward has already racked up three goals in five league appearances. The current season of the Premier League kicked off on August 2015 but it wasn’t until February of 2016 when Danny Welbeck was able to make a league appearance and this was due to a long term knee injury which kept him out of the pitch for around 10 months. There are occasions where some players aren’t able to perform how they used to after having spent such a long period of time out of the pitch due to injury and these injuries can even affect the attitude of the player but according to Arsenal’s Arsene Wenger, the French manager has stated that Danny Welbeck is a better overall player as he has improved and changed ever since making his return to the playing grounds and recovering from his knee injury. 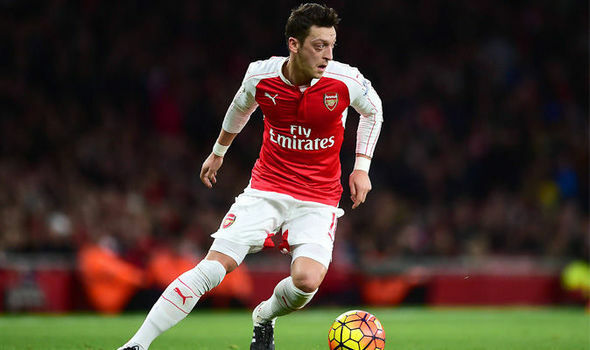 Ever since Mesut Ozil completed his transfer to Arsenal on September of 2013, the German midfielder has been one of the most influential players of the Premier League club as he is a consistent starter and is undoubtedly a key performer of Arsene Wenger’s squad. For the past few weeks there have been rumours going around suggesting that Ozil was interested in making a return to La Liga and exiting Arsenal but the German midfielder shut down those rumours as he wrote on his twitter account: "Have seen the media reports today. Arsene Wenger was a big reason for me joining Arsenal, this hasn't changed! #Respect #AFC." After not being able to play in any competitive match for 10 months, Danny Welbeck made his return to the pitch on February 14 when Arsenal faced off with Leicester City and the English forward went through a dream return as he scored a goal which helped his team in securing a crucial 2-1 triumph over the team of Claudio Ranieri. Even though Danny Welbeck has been consistently appearing in Arsenal’s latest Premier League matches and scored a goal against Leicester City, the 25 year old attacker has recently stated that he still doesn’t feel to be at his best and he is trying to get back to his old form. Arsenal’s forgotten forward Danny Welbeck returned to the starting line-up with a bang after scoring in the 2-1 win over Leicester City. Table leader Leicester had recently claimed a high-profile scalp in the form of Manchester City at the Etihad stadium. This unlikely victory put them five points clear at the top of the table. They were able to take advantage of clubs like Arsenal and Manchester City being inconsistent this season. Even as early as last year, Leicester would have been favourites to get defeated even when being at home against a top team like Arsenal.